A quick and easy way to navigate your way through the plethora of mini-courses, training with certification, and customised business training options for image consultants. Whether it's for personal interest, or to become an image consultant, or to build and develop your image business, there's something here for you! NEW COURSE My step-by-step method of colour analysis for each of the tonal & seasonal directions. Beginners learn from scratch / experienced image consultants update your skills. Which methods of colour analysis are covered? All of them – 4 Seasons, 6 Tones, 12 Seasons, 12 Tones, Extended seasons and Flow analysis too! I've created a Facebook group called 'In The Pink' that's exclusively for those who have trained with me or purchased my business resources. It's the place to go for encouragement, to positively support and inspire each other, to help group members create a truly successful colour, style and image business. 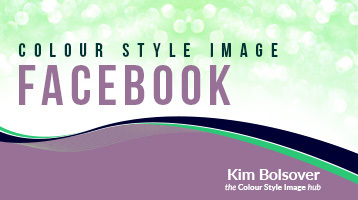 The 'Aspiring Image Consultants' Facebook group is for you to ask me all your questions about what you need to learn, find out more about colour supplies and the props you need, the different types of training available, how to get support, where to find image consulting resources, the business potential, the rewards, and how to get started. Personal support for image consultants both during and after your training where you can ask me all your questions personally. There's also a higher level of support, one-to-one coaching, and Pick My Brain sessions available too. Don't forget your Colour Supplies! Image consultant colour supplies at trade prices with volume discounts delivered to you wherever you are in the world. 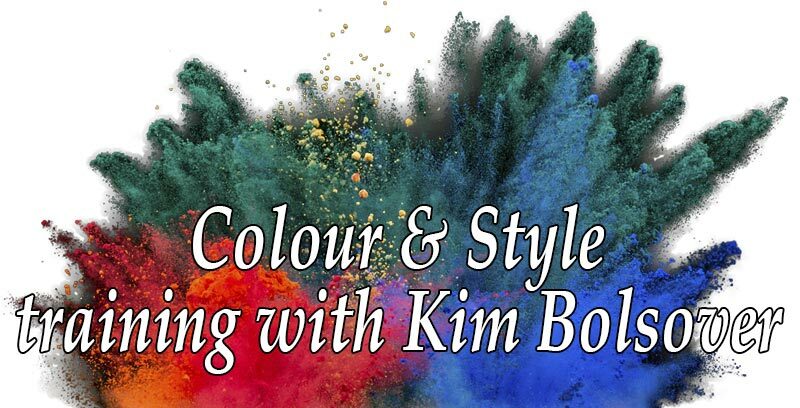 Learn both tonal and seasonal analysis, colour psychology, a step-by-step approach to colour consultations & workshops, and lots more. UPDATED If you want to become more confident with your colour analysis skills and knowledge and improve your personal colour consultations, the Fabulous Advanced Colour Analysis course is for you. There's a plethora of intriguing colour analysis methods, tips and techniques that will improve and refine how you diagnose cool and warm, tonal, seasonal, flow and expanded, and lots more. Franchise-free, up-to-date, ladies' personal style training, including shape, scale and style personality, a step-by-step approach to style consultations & workshops, and lots more. UPDATED Learn seasonal and tonal colour analysis, together with 2 new tonal system trainings not available anywhere else. The 4 seasons colour theory just doesn’t work for everyone. The tonal system fills in the gaps and provides seasonal and tonal alternatives for all your clients. Watch a full day’s training and learn how to add the tonal system to your current seasonal work. Take the stress out of those awkward hair colour questions and learn how to diagnose your client’s hair colour direction to complement her colour analysis for both clothes and make-up. Learn all about colour psychology, the history and story of colour personality profiling, and in detail at my own approach to colour psychology which I’ve refined over the last 35+ years. 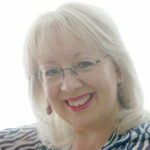 On completion of the course you'll be using my tools and methods to profile your clients quickly in your head and, if you choose, involving them in the diagnosis too. This is for you if you’re an image consultant or personal stylist who has already trained in and practised both ladies colour analysis and personal style, shape and scale who wants to add Men’s Image to your portfolio of services. NEW COACHING This Life Purpose Breakthrough program helps you fathom out what you’ve been put on the planet for! Are you stuck in a rut wondering why life has to be such a hard slog? Do you feel so far off course you might be tempted to run for the hills if something doesn’t change… and soon? This is for you. The Mindset, Motivation and Marketing course shows you the changes you need to make to confidently create the business results you want from and for your life. To be successful you must learn how to stand out from the crowd and we have a mini-course containing an audio, video, and workbook designed to show you exactly how to do that. Not sure you’ll ever be able to find enough people to pay for your colour & style services or know what to charge? We have a mini-course designed with you in mind. 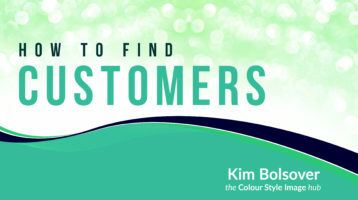 Struggling to find new clients and make money from your colour and style business? We have a mini-course designed to help you today. 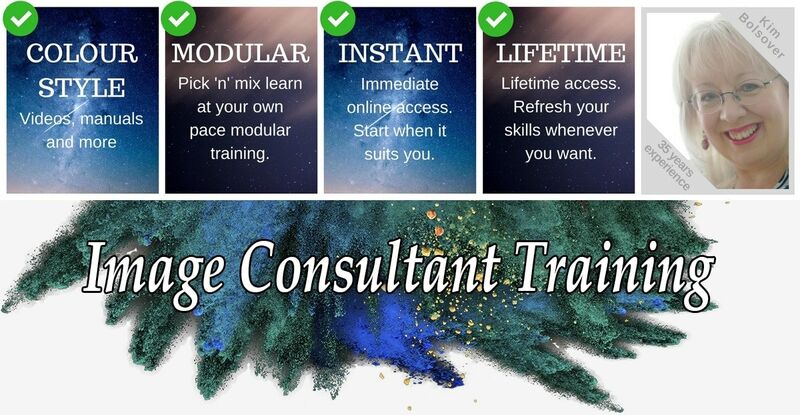 UPDATED The Ultimate Image Consultant Training Program v2.0 includes 8 professional, in-depth training courses – 6 colour & style training courses, 1 personal & business development course, plus 1 business-building course. Includes extensive 1-1 private coaching and lifetime personal support from me. Winner: Most Inspirational Consultant Running An Image-Related Business – International Federation of Image Consultants (IFIC) / Federation of Image Professionals International (FIPI) Spirit of Inspiration Awards. I’ve created a Facebook group called ‘In The Pink’ that’s exclusively for those who have trained with me or purchased my business resources. It’s the place to go for encouragement, to positively support and inspire each other, to help group members create a truly successful colour, style and image business. 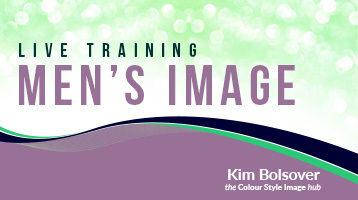 The ‘Aspiring Image Consultants’ Facebook group is for you to ask me all your questions about what you need to learn, find out more about colour supplies and the props you need, the different types of training available, how to get support, where to find image consulting resources, the business potential, the rewards, and how to get started. Struggling to find new clients and / or make money from your colour and style business? This mini-course is designed to help you right now. There’s no better time to get started with your online image consultant training, and there’s lots to choose from. So to help you navigate through the plethora of training options and ‘have fun with colour’ goodies, I’ve sorted them into price bands so you can quickly and easily find what you need. 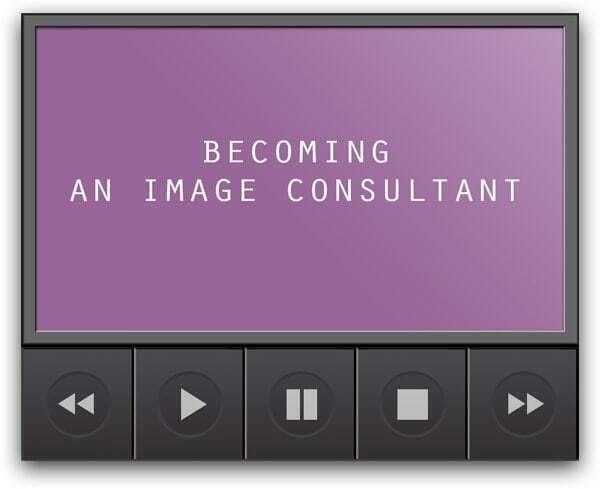 Questions I’m asked by aspiring image consultants the most often are “Which course should I take?”, “What’s the difference between this course and that?” and “What should I do next?” So let’s have a look at how to become an image consultant, and the courses you should take, and the order you should do them in, using my step-by-step roadmap to certification. Limited-time special savings and latest news about our most excellent colour analysis training courses! I have some actionable tips for you, and as always, I give out homework too! Too much choice? Not sure what’s best for you? Let’s chat.